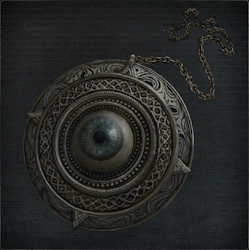 Eye Pendant - / 1 - / - Nightmare Grand Cathedral Surgery altar in the Recovery Room An eye pendant which unlocks the surgery altar. research hall of the Healing Church. Grant eyes to the surgery altar skull. 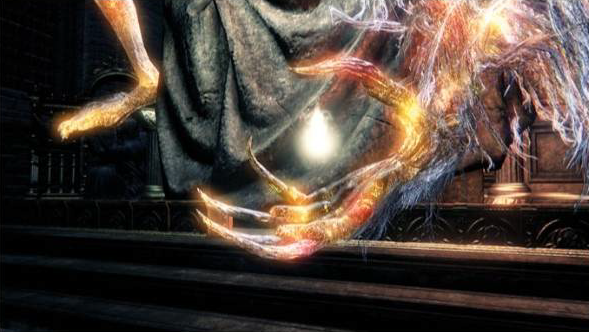 The Eye Pendant is sitting on an altar at the back of the Nightmare Grand Cathedral in the Hunter's Nightmare. It is required to activate the surgery altar in the Recovery Room. The area it unlocks is after the first boss you fight Ludwig, you head up and follow the corridor and there is a lift/altar you use it on.